"John Singer Sargent: Painting Madame X was a perfect addition to our educational offerings: well researched, compelling and thought provoking. 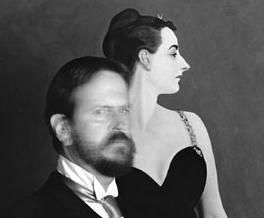 We could have learned the same things about Sargent and the painting of Madame X by means of a scholarly lecture, but to have it told to us by “Sargent” himself literally brought it to life. Bob Diven is a talented actor who transported Sargent into our presence for an hour. The show is self-contained and easy to present, even in an open room, such as we have at the Taft Museum of Art. I wish every presentation were so effortless and every presenter so easy to work with." "And Diven's acting is as good as his writing. The lanky Diven looks wonderful in his 19th century clothing and has a sublety about his gestures and facial expressions that is essential to this play. He is both compact and expansive. And, if control of his own words were not enough, he tasks himself with singing, playing the piano, and painting -- all accomplished with a smooth skill I have seldom seen in any actor and never seen in an actor attempting so much." "First and foremost, do not expect a lecture! “Painting Madame X” renders 40 minutes that are informative, revealing, entertaining and moving. Be sure to see this highly original performance!" "This is a highly original, deep and entertaining work with particular appeal for those interested in art and artists..."
"I don't remember seeing a finer performance and I have been a theator actor and theater attendee for 40 years." "'Painting Madame X' brings together the rare combination of talents Bob posesses -- writing, painting, acting and musicianship." "I was shocked to see that such a subtle performance with highly intellectual language kept the students in rapt attention."